Staging from 08.00, full details are in the schedule which is attached to this article. This year we have three nationally recognized speakers; we expect the day will appeal to all our members, whether they are taking part in the Honey Show or simply looking to improve their beekeeping knowledge by learning from others. 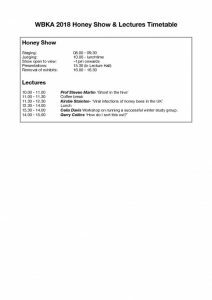 10.00am ‘Varroa, the ghost in the hive’ – Professor Steve Martin, Salford University. Steve will be reporting on fascinating research into how bees recognize other bees within the hive, how the varroa mite can camouflage itself and the implications this has for reliance on hygienic behaviour to combat varroa. 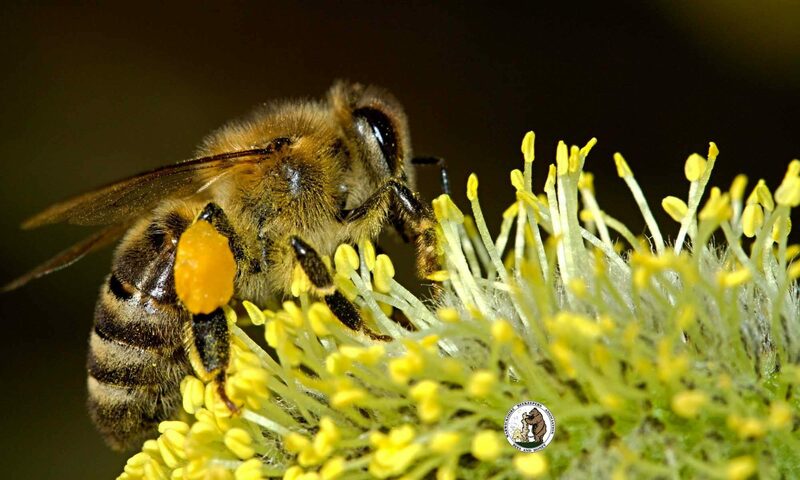 11.30 am ‘Viral infections in honeybees’ – Kirsty Stainton , National Bee Unit, York. In recent years, many beekeepers in Warwickshire have suffered colony losses from Chronic Bee Paralysis Virus (CBPV). We will be getting an update on the research that the NBU have been undertaking on CBPV and other viral infections which impact honey bee colonies (How many can you name?). 14.00 ‘How do I sort this out?’ – Gerry Collins, NDB & Master Beekeeper. In his own unique down-to-earth style Gerry will cover some of the head scratching situations we encounter in our hives and practical solutions to resolve them. Please register HERE for the lectures. The lectures are free to attend for members, but it is important that we can plan for the expected numbers of attendees. We also want to help those entering the Novice Classes at the Honey Show to get individual feedback on their entries. In a change to previous shows, the entrants will be offered the opportunity to attend the judging process so that they can hear directly about their entries from the Judge.